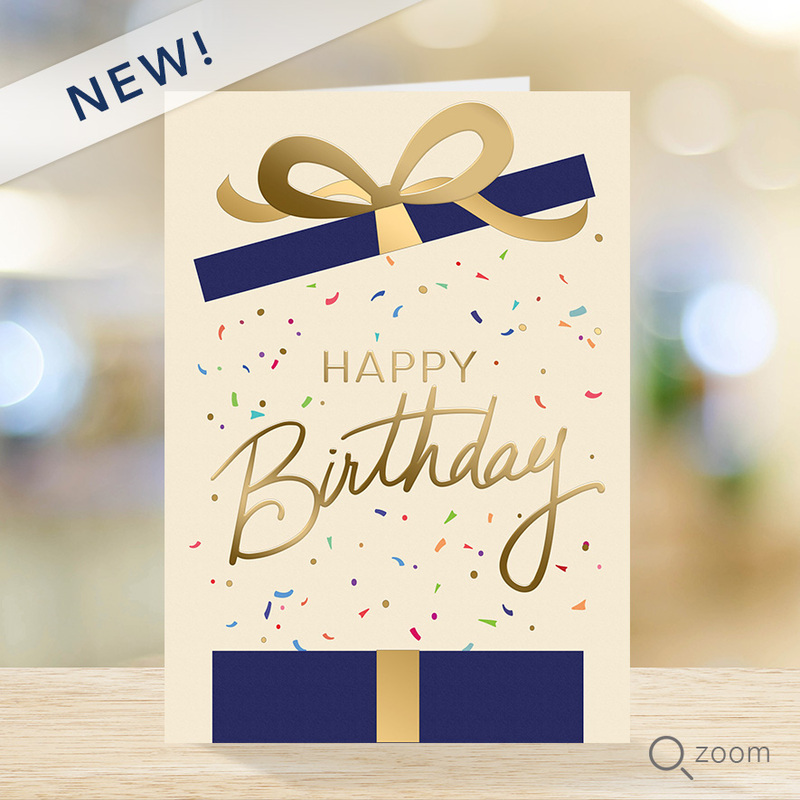 PREMIUM - Bursting with color this birthday card is sure to be celebrated by clients and prospects. 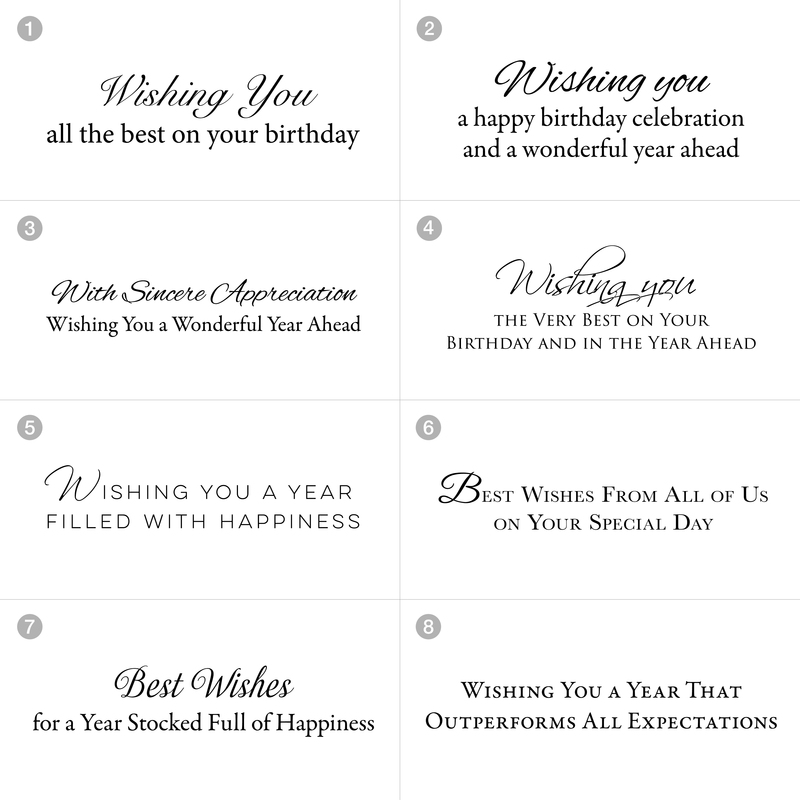 A festive, elegant option for your business, enhanced with gold foil and emboss. Choose an inside verse at no additional cost.